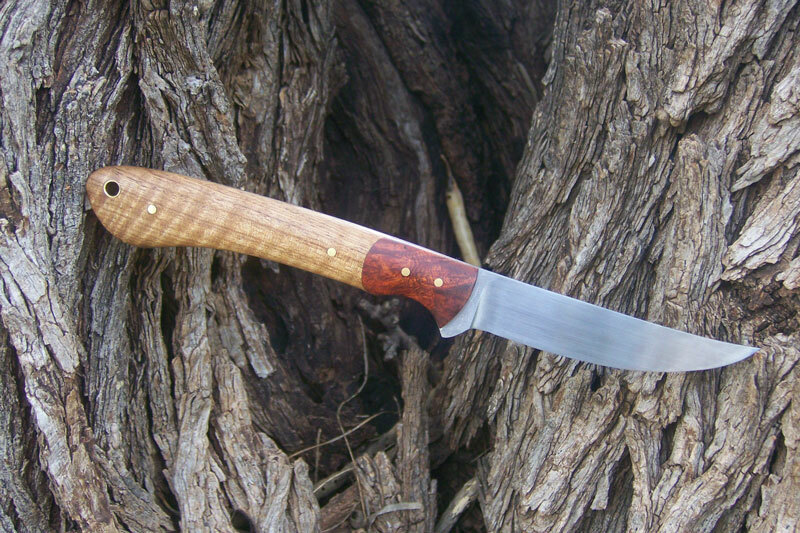 This is just about the same knife as the red micarta upswept skinner, but with a slightly thinner blade profile. 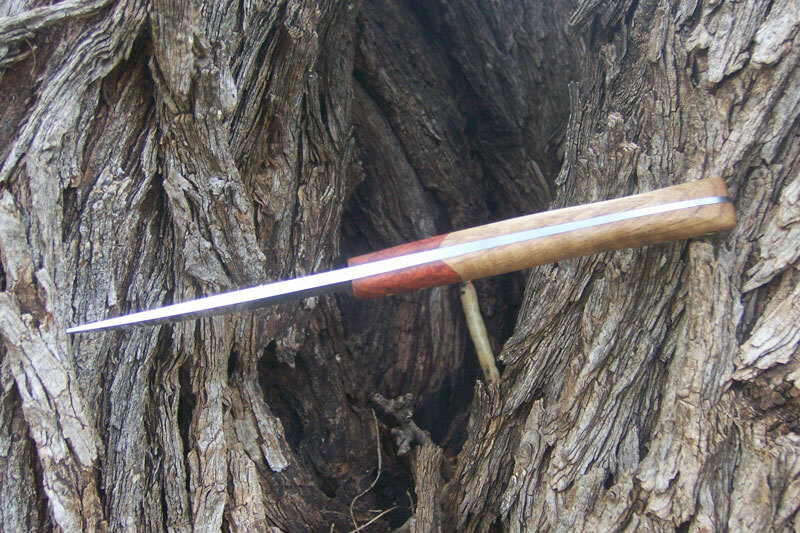 The knife is 8 inches overall, with a 3 3/8 inch blade. 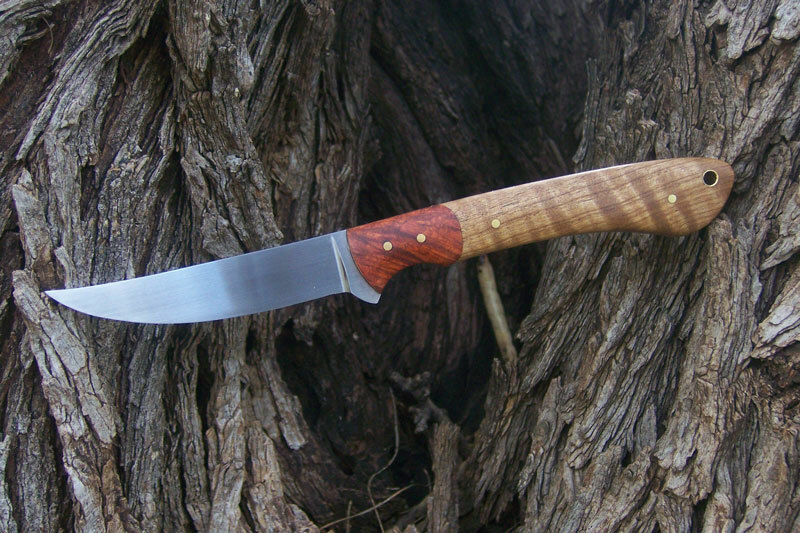 This knife features dovetailed amboyna burl bolsters, contoured curly satinwood handles, and a thin tapered tang. The steel is Aldo’s 1084 (for those of you who know Aldo) and is heat treated to 60 RC.